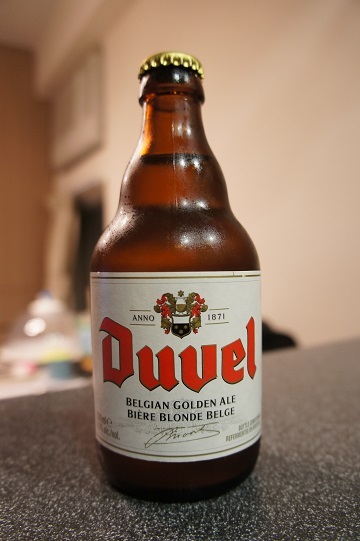 Brewer Description: (from website) Duvel is a natural beer with a subtle bitterness, a refined flavour and a distinctive hop character. The unique brewing process, which takes 90 days, guarantees a pure character, delicate effervescence and a pleasant sweet taste of alcohol. 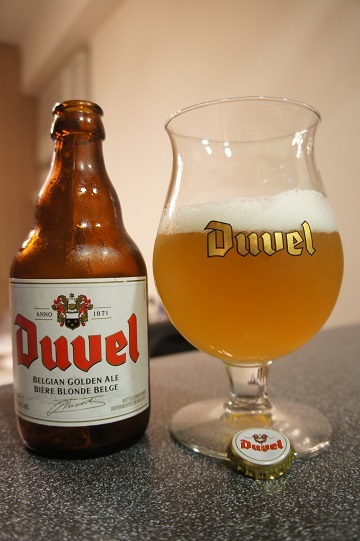 Intro: A 330ml bottle dated best before November 2015 and poured into a Duvel tulip glass. Appearance: The beer poured a slightly hazy golden straw yellow colour with maybe just under a two finger creamy white head that dissipated slowly leaving nice stringy lacing. Aroma: Main aromas of citrus lemon and banana with slight funk followed by some lighter grassy and flowery smells. 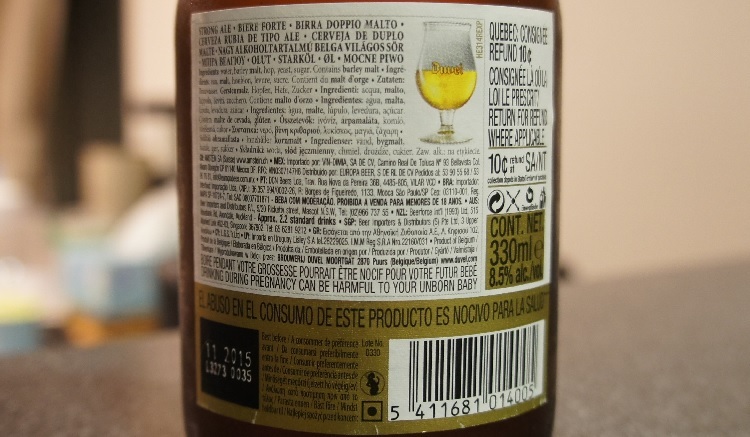 Taste: Starts with bitter, tart and slightly sour citrus lemon, pear and apple followed by banana and honey sweetness. Mouthfeel: Light to medium bodied with high carbonation and a dry finish. Overall: Overall this was not a bad beer. 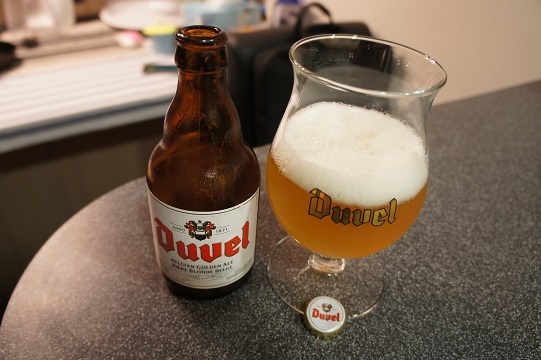 But if I was to compare to others in this style, off the top of my head I do prefer both Delirium Tremens and La Chouffe before Duvel and unfortunately for Duvel, both of them are as widely available in Hong Kong.